Bull Lion Ranch & Vineyard is a working ranch that was established in 1989, primarily as a Red Angus and Performance Paint Horse operation. 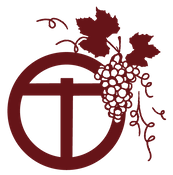 In 2010, they added a vineyard and winery continuing their 100+ year Italian family tradition of producing old world wines, using 100% Texas grapes grown near Chalk Mountain in Erath County. Their new Winery Tasting & Barrel Building recently opened to the public and is available for hosting events and weddings. The Bull Lion Ranch Pickin' Party is every 3rd Saturday of the month, open late until 10:00 PM, with live music and wine specials. Travel southeast on US Hwy 67 towards Glen Rose. Turn right onto FM 2481 (Duffau Hwy) and travel 5.1 miles. Turn left onto CR 539 and you will find the entrance in 1.7 miles on the left.